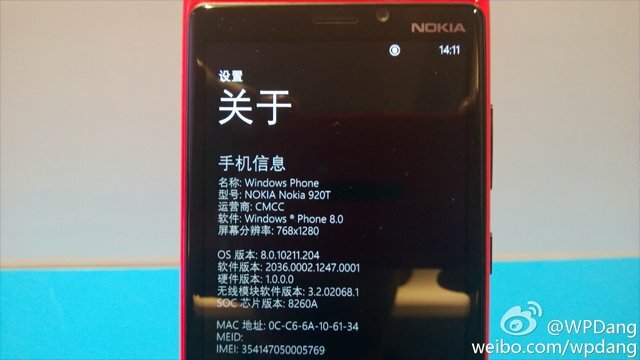 Despite lagging a bit behind other countries, Nokia finally released the Lumia 920 in China on December 5th Beijing time. 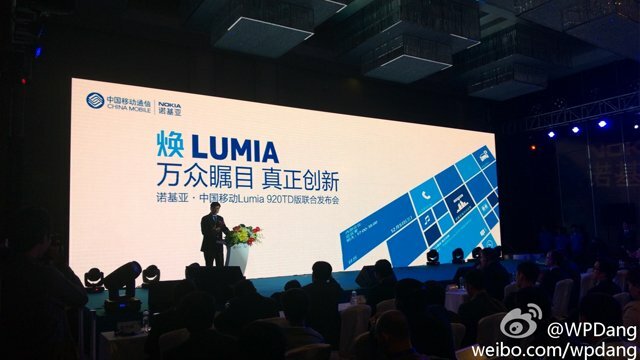 The first wave is heading to China Mobile, dubbed "Lumia 920T" for the carrier's TD-SCDMA network. Being China's biggest mobile carrier, China Mobile has about 700 milion subscribers. Because of the unnecessarily weird unique network, many of them suffer a problem of not having cool 3G phones to maximize the potential of their cellular service. The coming of 920T is quite timely. Previously there were rumors around the Lumia 920T, claiming it has a more powerful than average special processor. We've debunked it before, and here it is again: The Lumia 920T sports a 8260A chip, just like every other Lumia 920. No, there's no hidden power, not even when you hit up up down down left right left right B A.
Lumia 920T will come in four color variations: magenta, yellow, white and black. Curiously the cyan version isn't available, breaking Nokia's usual CMYK pattern. And the device is priced at CNY 4,599 (US$ 739). There's no mentioning of contract price yet. Hopefully China Mobile follow up with a subsidy plan soon, or that price will severely cut down adoption rate. Aside from regular wireless charging stuff, China Mobile is working with Jiepang (Chinese location-based service, just like Foursquare) to provide NFC-based check-in at airports. This would actually be a nice way to show off your Lumia 920, and prevent user cheating too. Imagine you are waiting for your flight at Beijing Airport. Out of boredom you whip out a Lumia 920, in bright yellow color, and thrust it to a little sticker on a pole. In a beep you check into Jiepang, and send an update to all your linked social network accounts. Posh, isn't it?